There is truly something for everyone in Amsterdam, whether you prefer history and culture, late-night partying or just the relaxing charm of an old European city. My sister and I spent three nights at Hotel La Bohème and couldn't have asked for better accommodations. The staff were so helpful and we enjoyed an incredible breakfast each morning. The hotel is in an ideal location, only a few minutes by foot to nearly every popular attraction. See more about La Bohème here. 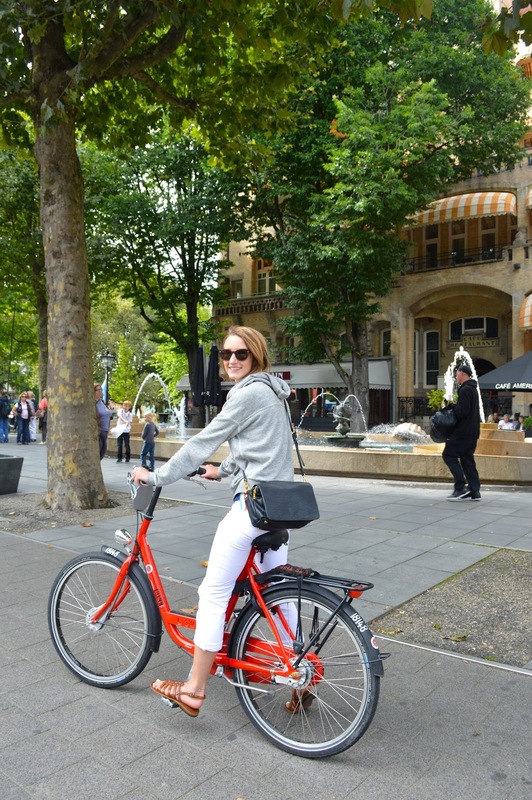 Since there's literally more bicycles on the streets than people, it was only fitting to take an afternoon tour around town on snazzy red Mac Bikes. It was quite a relief travelling from France to the Netherlands since nearly everyone in Amsterdam speaks English. We took a gorgeous canal tour, which brought us through the most popular areas of the city. There are hundreds of bridges scattered throughout, which made the tour that much more picturesque. I was shocked when our guide pointed out all the (frequently occurring) houseboats along the sides of the canals. People there literally live in little floating houses! Each one has such unique character, like this one with its bright blue panels, gorgeous windows and pretty flowers. 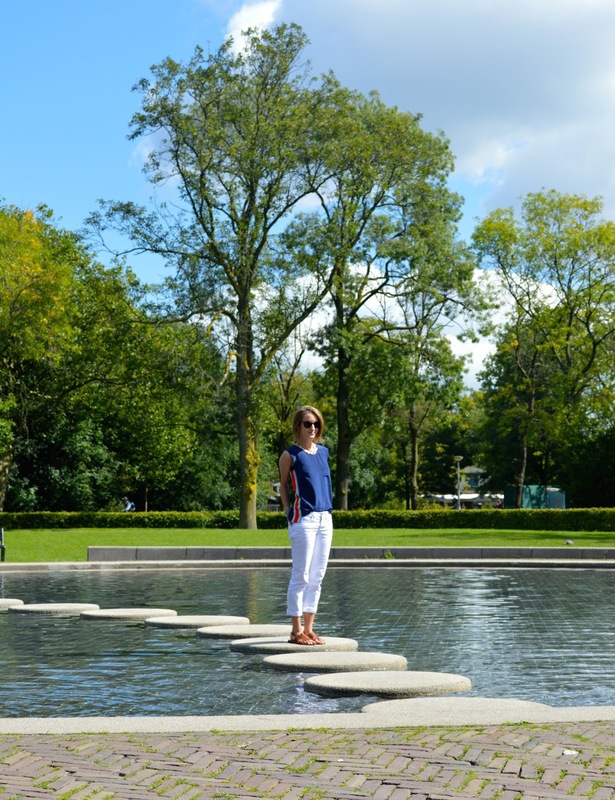 Vondelpark is one of my favourite corners of the city, featuring miles of walking paths and wonderful little ponds. I couldn't be more thankful for the bright sunshine that we got for all three days of our stay. Hooray for cooperative weather! Now for the food in Amsterdam. Holy. Delicious. 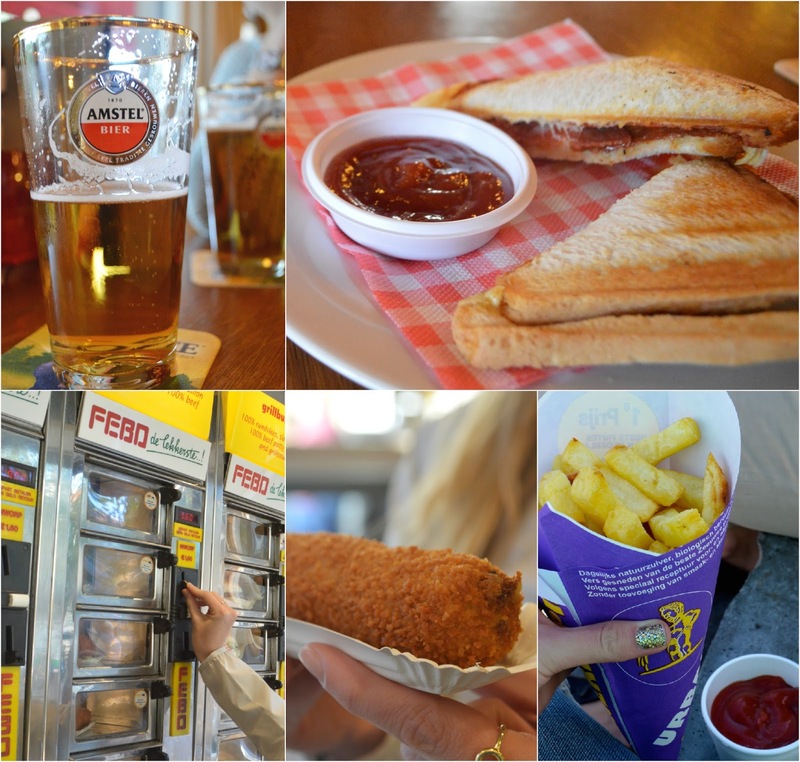 I enjoyed my fair share of beer, fresh cut fries and toasties (a.k.a. fancy grilled cheese). But the most outrageous of them all was Febo. This fast food chain has a wall of freshly stocked warm food behind little glass doors that instantly open via coins. We tried one of their croquettes, which is a deep fried breaded roll of meat in a thick gravy-like sauce. Deadly. And if that wasn't good enough, enter the gauffre with stracciatella ice cream. If you're ever having a bad day, simply find a waffle, top it with ice cream, and I guarantee you'll feel exponentially better. 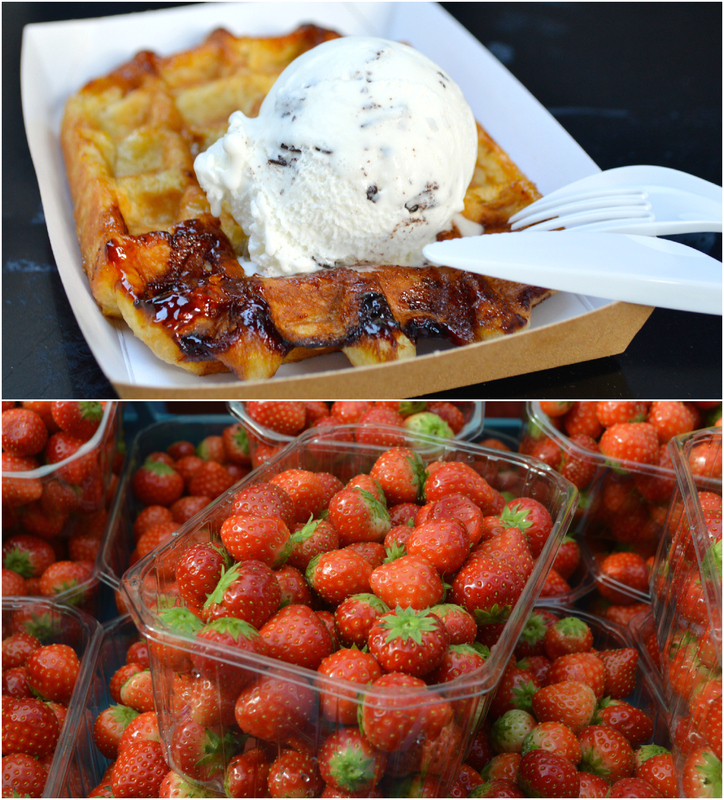 Also, tiny Dutch strawberries might be the cutest things on earth.